Young Pip Tyler doesn't know who she is. She knows that her real name is Purity, that she's saddled with $130,000 in student debt, that she's squatting with anarchists in Oakland, and that her relationship with her mother--her only family--is hazardous. But she doesn't have a clue who her father is, why her mother chose to live as a recluse with an invented name, or how she'll ever have a normal life.Enter the Germans. A glancing encounter with a German peace activist leads Pip to an internship in South America with The Sunlight Project, an organization that traffics in all the secrets of the world--including, Pip hopes, the secret of her origins. TSP is the brainchild of Andreas Wolf, a charismatic provocateur who rose to fame in the chaos following the fall of the Berlin Wall. Now on the lam in Bolivia, Andreas is drawn to Pip for reasons she doesn't understand, and the intensity of her response to him upends her conventional ideas of right and wrong.Purity is a grand story of youthful idealism, extreme fidelity, and murder. The author of The Corrections and Freedom has imagined a world of vividly original characters--Californians and East Germans, good parents and bad parents, journalists and leakers--and he follows their intertwining paths through landscapes as contemporary as the omnipresent Internet and as ancient as the war between the sexes. Purity is the most daring and penetrating book yet by one of the major writers of our time. 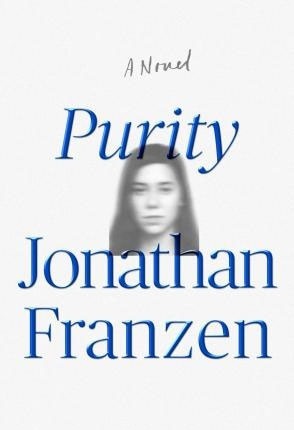 Dopo aver letto il libro Purity di Jonathan Franzen ti invitiamo a lasciarci una Recensione qui sotto: sarà utile agli utenti che non abbiano ancora letto questo libro e che vogliano avere delle opinioni altrui. L’opinione su di un libro è molto soggettiva e per questo leggere eventuali recensioni negative non ci dovrà frenare dall’acquisto, anzi dovrà spingerci ad acquistare il libro in fretta per poter dire la nostra ed eventualmente smentire quanto commentato da altri, contribuendo ad arricchire più possibile i commenti e dare sempre più spunti di confronto al pubblico online.